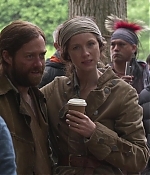 Public AppearancesPhotos of Caitriona attending several promotional events. 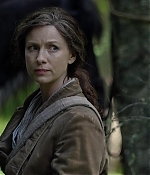 OutlanderPhotos of Caitriona from the television series including Outlander portraying Claire Elizabeth Beauchamp (Randall) Fraser. 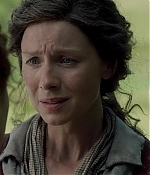 Film ProductionsCaptures, production stills and more from Caitriona's films. 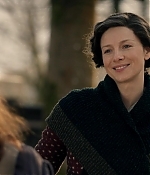 Other ProjectsPhotos of Caitriona's other projects as modeling, web series, and music videos. 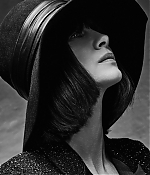 Magazine Scans and ClippingsOver 250 Scans of Caitriona's appearances in magazines from all around the globe. Photoshoots & PortraitsMagazine outtakes, portraits and other posed photoshoots featuring Catriona Balfe. Interviews, Talk Shows & Other AppearancesStills and screencaptures of Caitriona's interviews and talk show appearances. 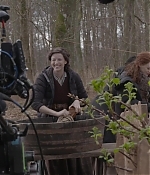 MiscelleanousPhotos of Caitriona from various social media platforms, youth, etc.